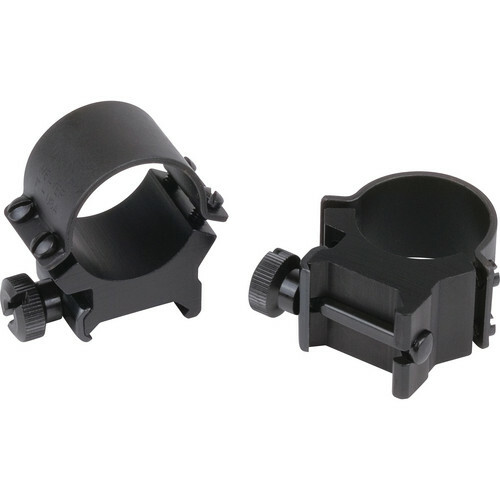 The Sure Grip Detachable 1" X-High Riflescope Rings (Matte) easily mounts and unmounts to your riflescope, using a 4 screw system on each of the 2 included rings. It has an aluminum saddle for reduced weight and a steel strap for added strength. The Quick Detach System allows you to quickly loosen the thumb screws and go to iron sight in seconds.